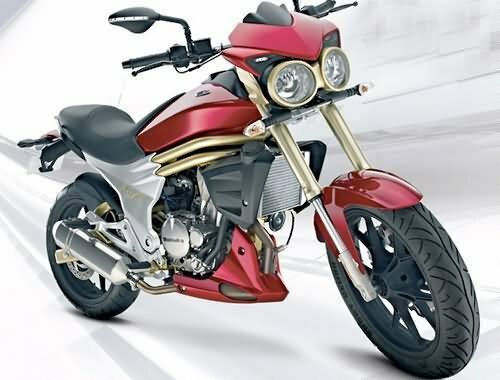 Mahindra Two Wheelers has entered the Indian bike market with launch of two bikes – “Mahindra Stallio” and “Mahindra Mojo”. On 30th September 2010 the company has unveiled the two bikes – the first two of its motorcycles for the Indian market. The manufacturers have also announced Amir Khan, the famous Bollywood star, as the brand ambassador for these bikes. The first model named “Stallio” is a commuter motorcycle. The bike comes with a four stroke, single –cylinder and air-cooled 106.7 cc engine. The engine is mated to a four speed gearbox. It produces a maximum power of 7.3 bhp at 7500 rpm and a maximum torque of 8 Nm at 5500 rpm. The “Stallio” uses telescopic forks upfront and adjustable shocks at the rear. Alloy wheels, an electric starter, a fully digital instrument console and LED tail lamps are features available on this bike. 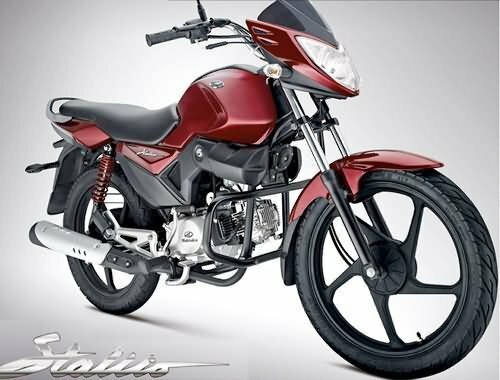 The “Stallio” will hit the showrooms in the first half of October, 2010 and would cost Rs.44, 690 for top variant with alloys and digital console, while the base variant with spoke wheel and analogue dials will cost Rs. 41,199 (all prices ex-showroom Pune). The second bike is named “Mojo”. The bike features a four stroke, fuel-injected, single-cylinder and liquid cooled 292 cc engine. Double Overhead Camshafts (DOHC) operate this engine’s four valves. The engine produces a maximum power of 25.8 bhp at 8500 rpm and a maximum torque of 2.5 kgm at 7000 rpm. The “Mojo” rides on 17-inch alloy wheels and uses inverted front telescopic forks and a monoshock rear suspension. The Braking system consists of 320 mm front and a 220 mm rear petal disc. Other important features of “Mojo” are -Dual exhaust system, mirror mounted indicators, digital speedometer and tubeless tyres. The “Mojo” will be officially launched in the first half of 2011 and will carry a price tag of Rs.1.75 lakh (all prices ex-showroom). Thanks for sharing. Your post is a useful coinirbutton.